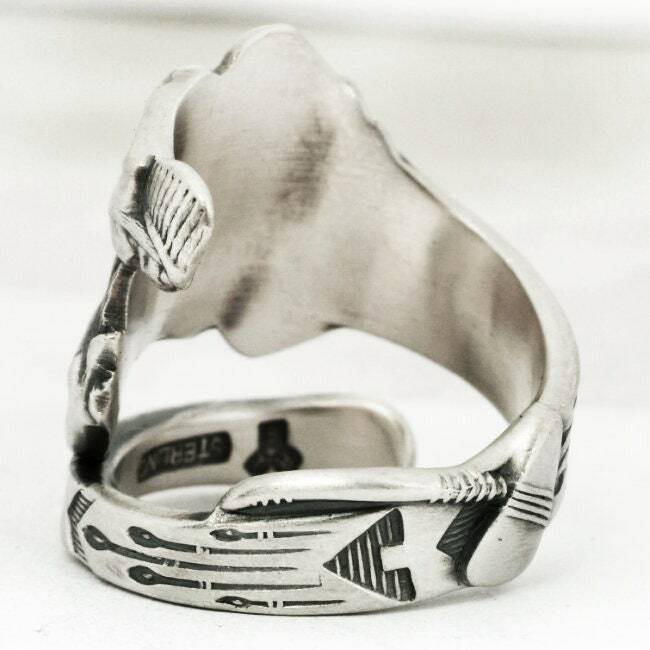 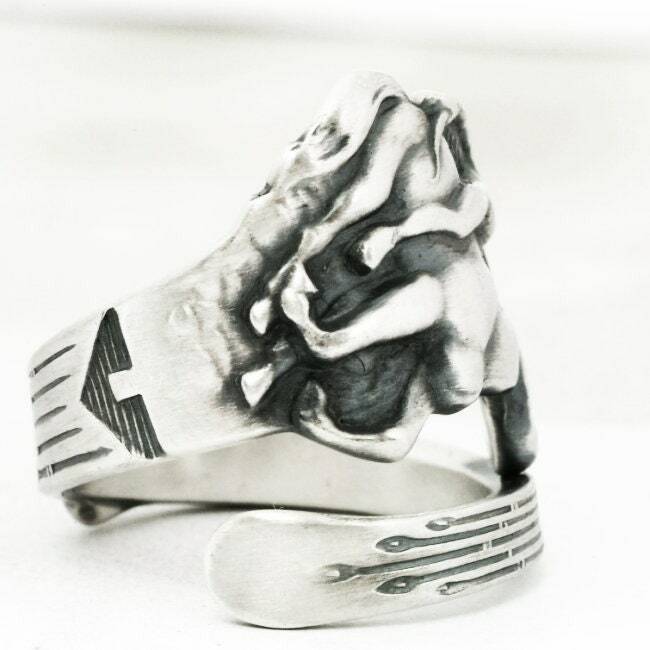 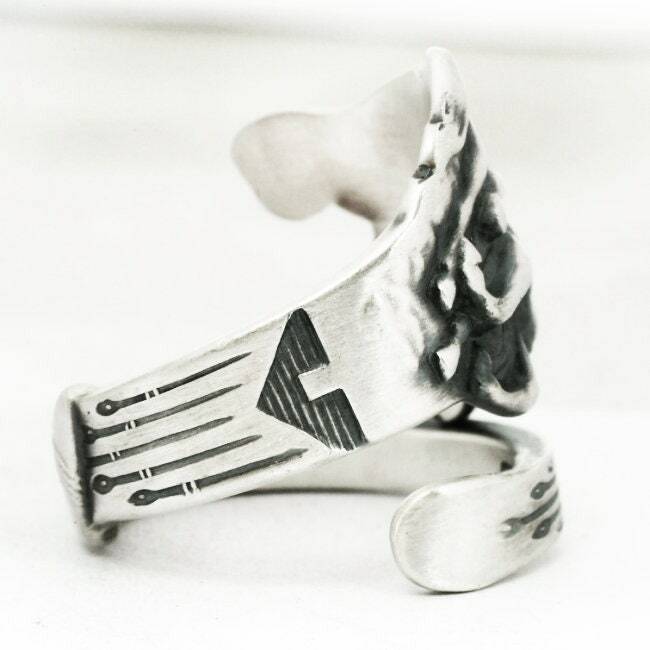 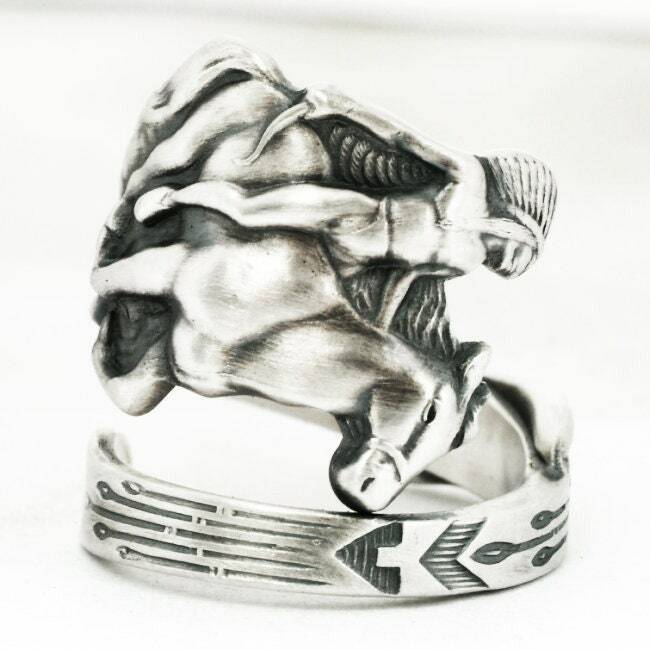 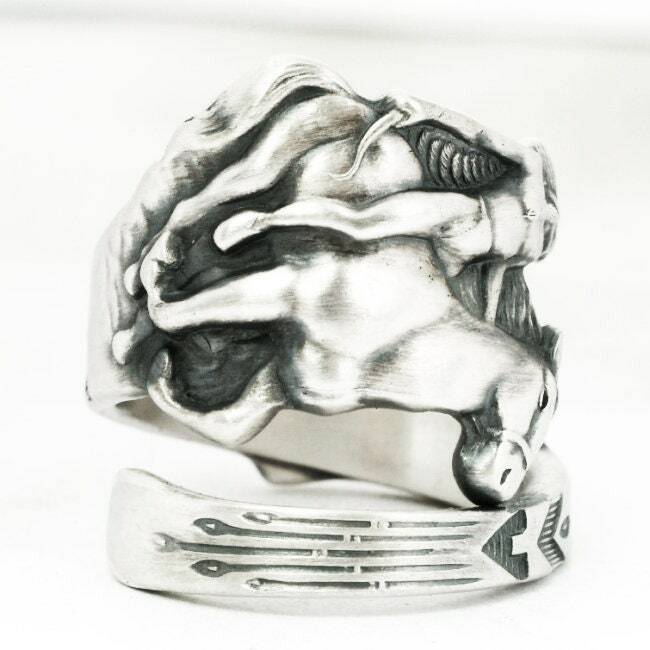 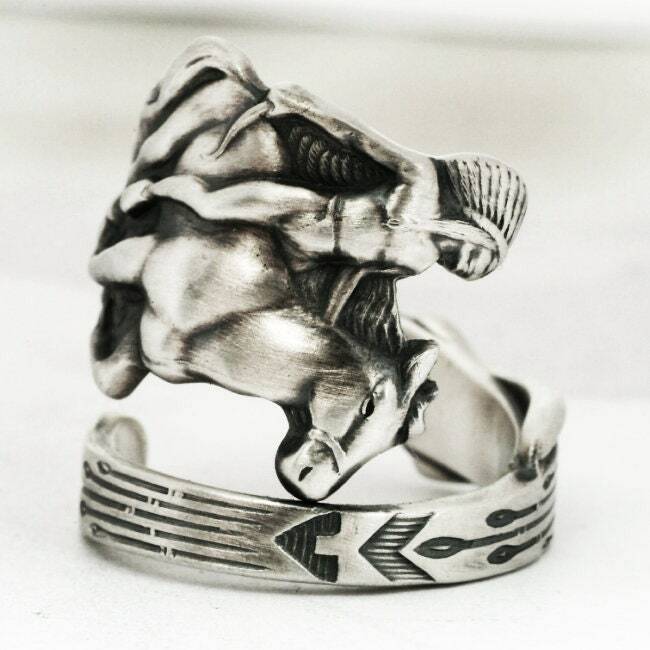 Super cool sterling silver Native American spoon ring. 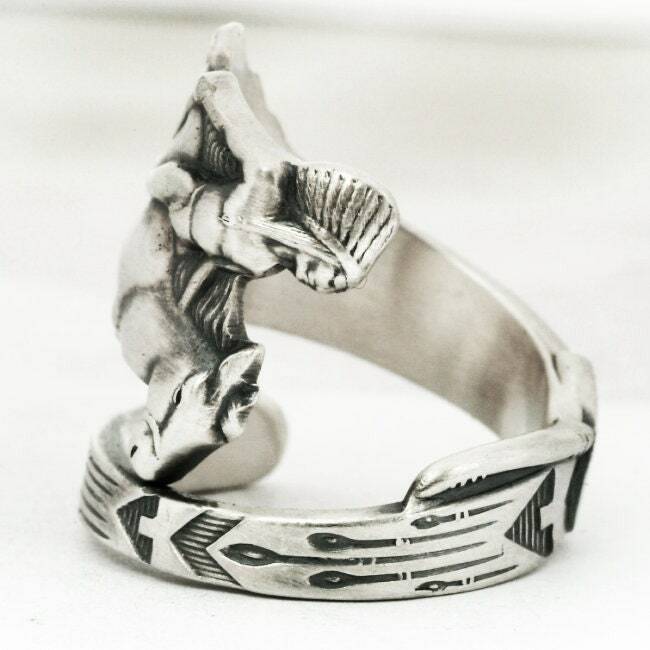 The main scene is of an Indian in full headdress riding his galloping horse. 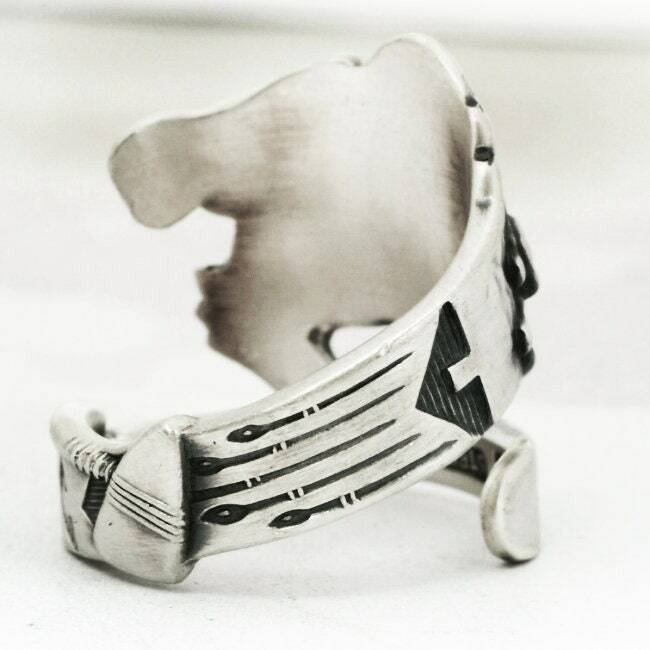 Followed by a portrait of a Native American in full Headdress. 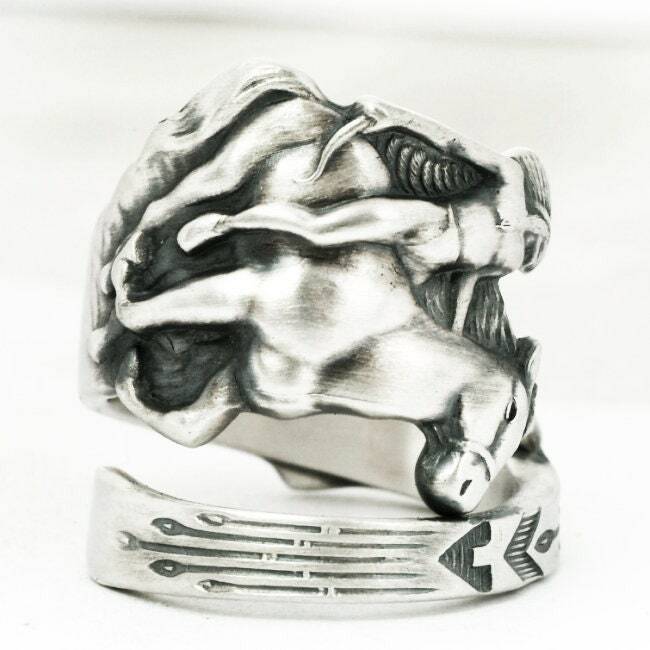 This ring is full of western action! 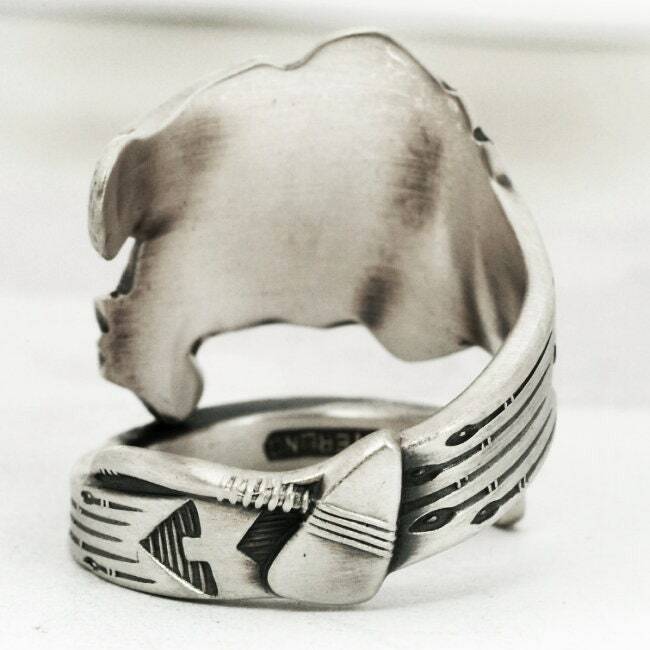 The spoon was made by Lunt Silversmiths ca 1912!